Rigid and appropriately profiled shoe-top is designed to increase the stability of the ankle and to better fit the feet by eliminating pressure zones. 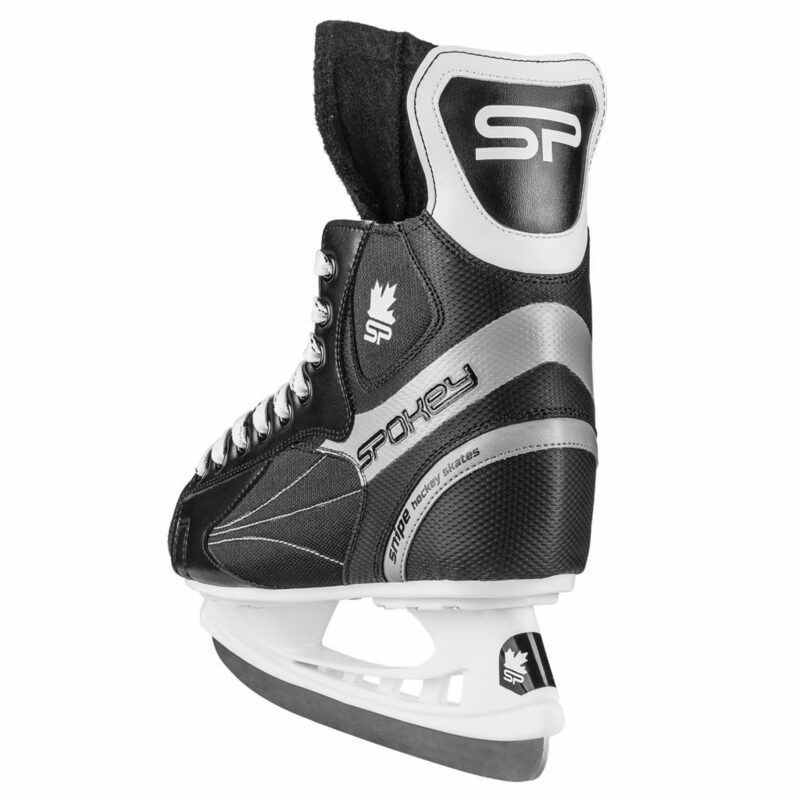 In addition, the shoe has a reinforced front part which provides safety and absorbs impact. The ice skate is equipped with padding that absorbs moisture which increases comfort while skating. 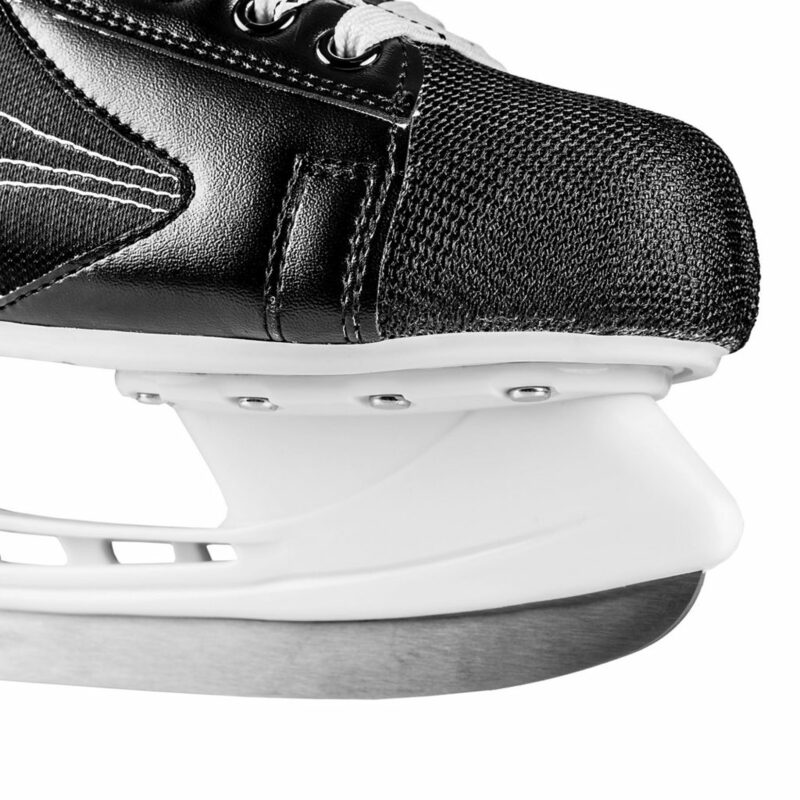 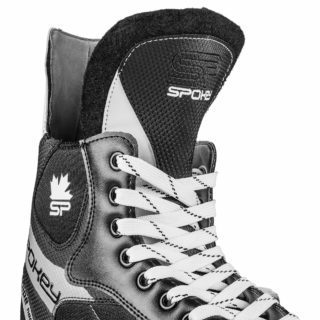 As with all hockey skates, it is attached to the shoe with rivets. 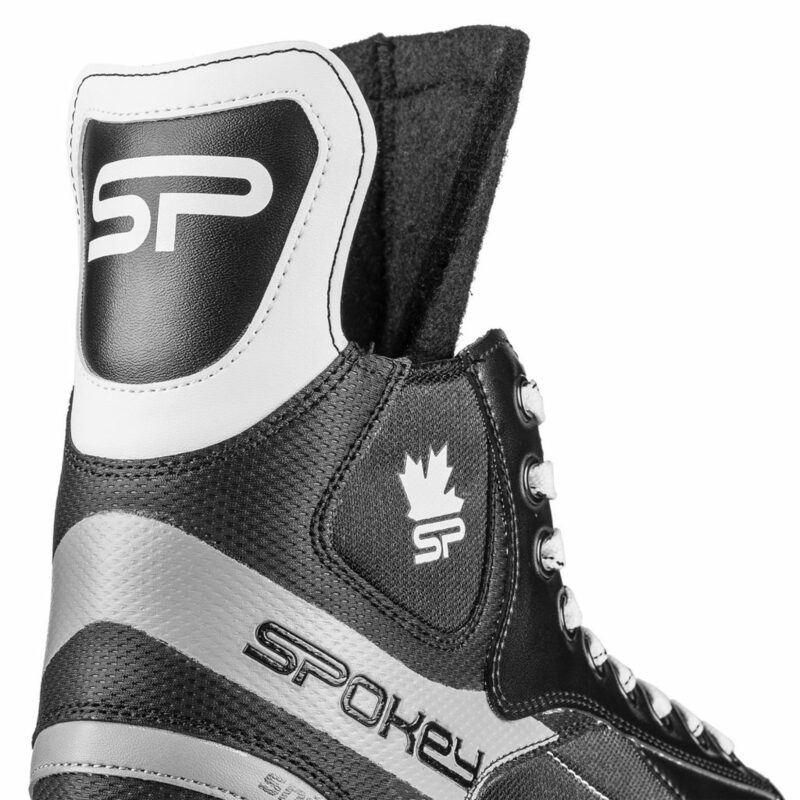 Pre-sharpened, made of stainless steel of increased hardness which extends its service life. 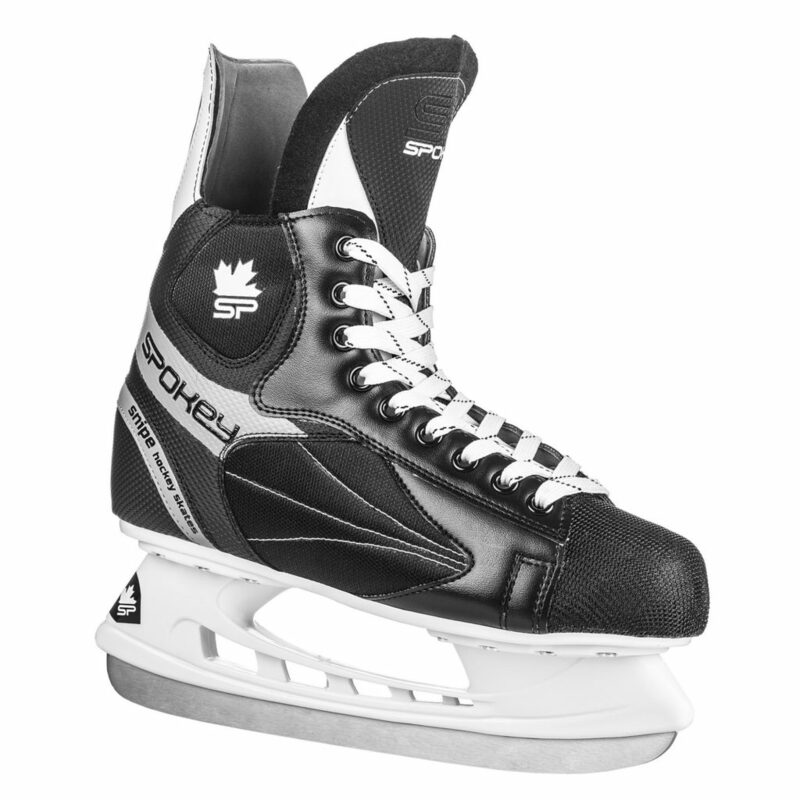 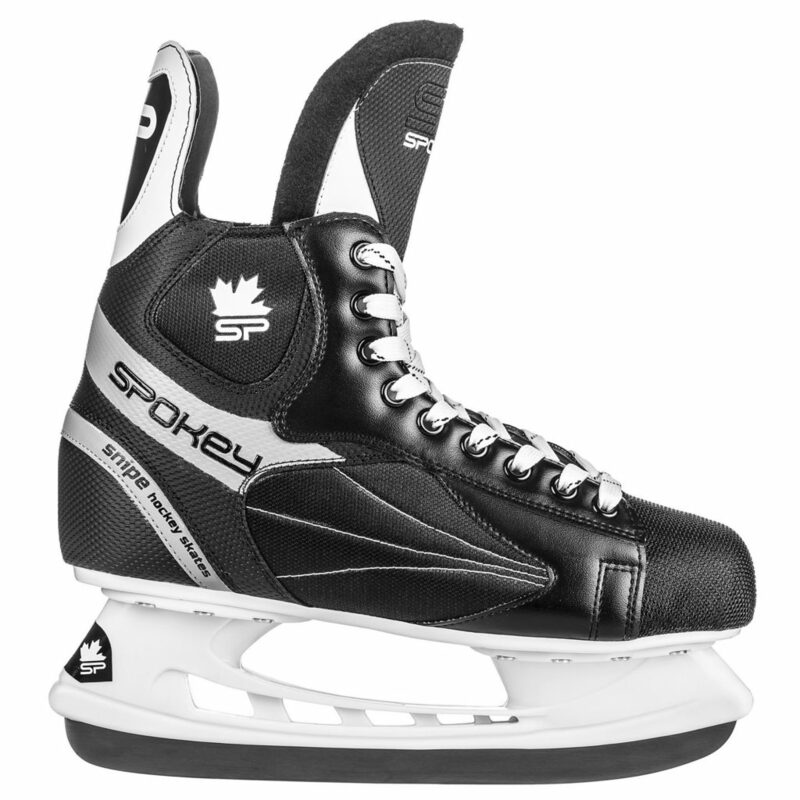 The blade applied in these ice skates allows for faster, more agile skating and fast and precise braking.